Banana And Its Benefits And Smoothie Recipes. Banana is a very nourishing fruit to have. We use it in fruit salads, smoothies, baking cake. It can be used as a face mask or hair mask to deep treat your hair. Crushing the banana with honey is a very moisturizing hair and face mask. To use it as a protein treatment you can add the yogurt of your choice but I would recommend specifically strawberry yogurt. 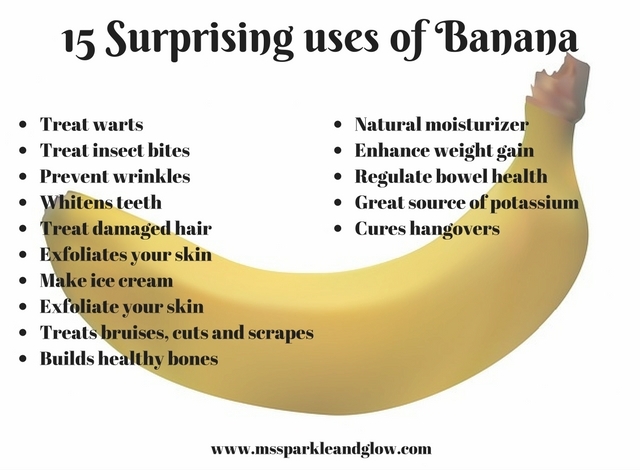 Banana can be used in a variety of ways as well as its good for you. Circulation and controlling blood pressure. Incorporate more bananas in your diet if you haven’t already been doing so.